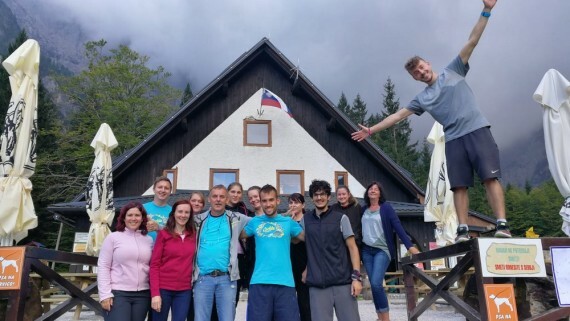 Very successful voluntary campaign The Deaf Serve in Mountain Huts which took place on 22 and 23 September 2018 in 10 mountain huts in Slovenia, connected, broke the fears, and undermined stereotypes. 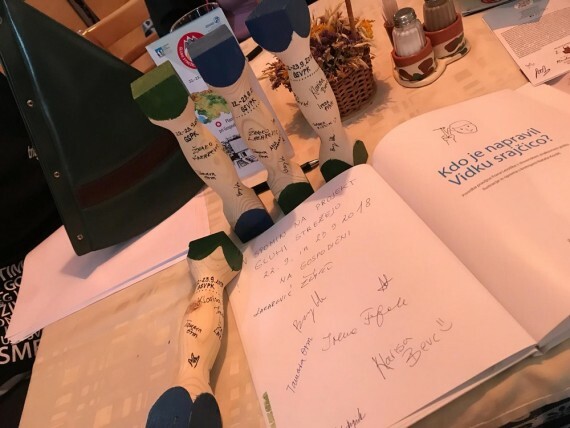 The Mountaineering Committee for Disabled People / People with Disabilities (Pin / OPP), which operates under the Alpine Association of Slovenia, fully supports the idea to enable deaf and hard of hearing people and also other volunteers to help serve and animate programs in hills and mountains. 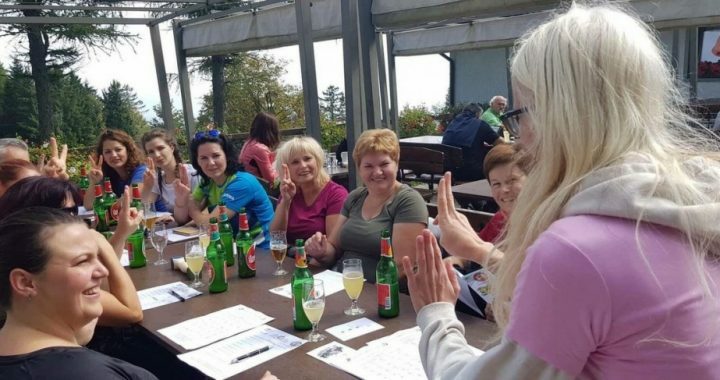 The campaign The Deaf Serve in Mountain Huts took place in 10 mountain huts all over Slovenia during two major events: International week of the deaf (17 – 23 September) and International Day of sign languages (23 September). The reason behind the idea of the project is the inclusion of everyone, regardless of disability or non-disability, especially deaf and hard of hearing. 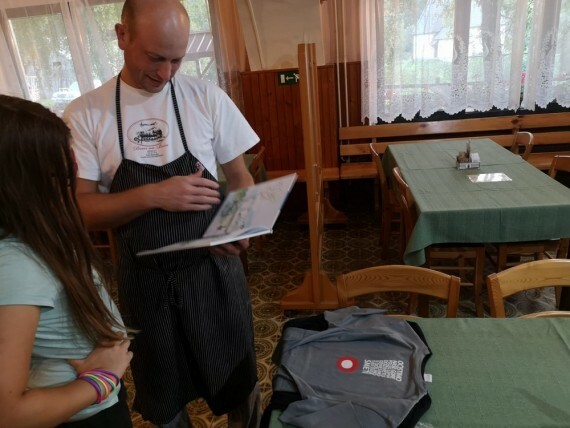 “Being inclusive” is a slogan that gives the deaf and hard of hearing and others the opportunity to test themselves in serving and animation in the hills and mountains. There were examples of the inclusion through cooperation and the establishment of multilingual communication. 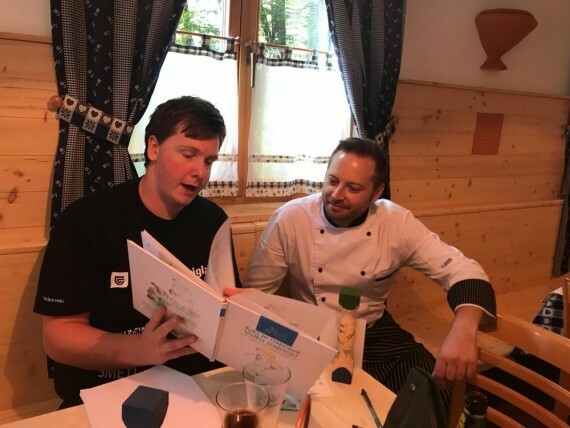 We encourage connecting and integration for the benefit of the community as well as raising the awareness of the capabilities of all volunteers. The desire of the deaf is to be accepted. It means a lot to them that they can show their abilities and knowledgement. There was a lot of anticipation and excitement of deaf volunteers before the campaign. The campaign title does not cover everything that the action involves. 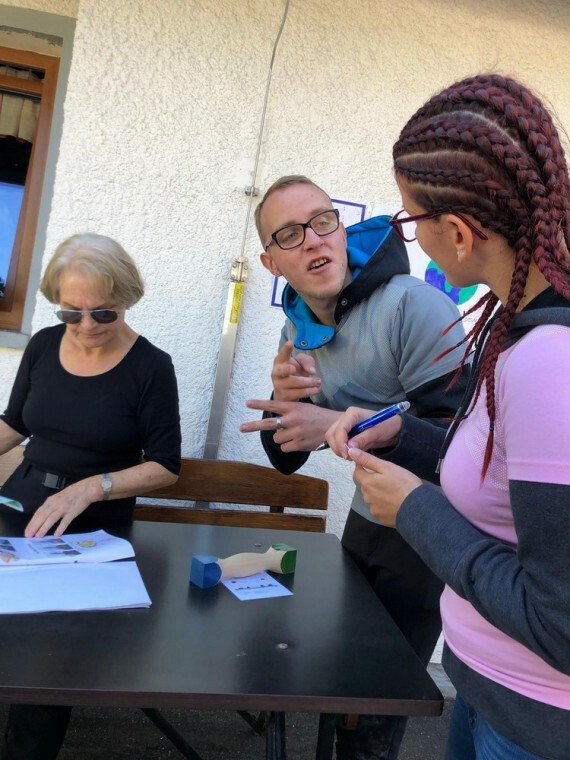 In addition to the service, animation and learning about the way of life of the deaf, visitors also got acquainted with the Slovene sign language. The deaf staff worked very committedly, conscientiously and responsibly. They successfully adapted to the changes, distributed their work, and helped each other. Cooperation was at the forefront. 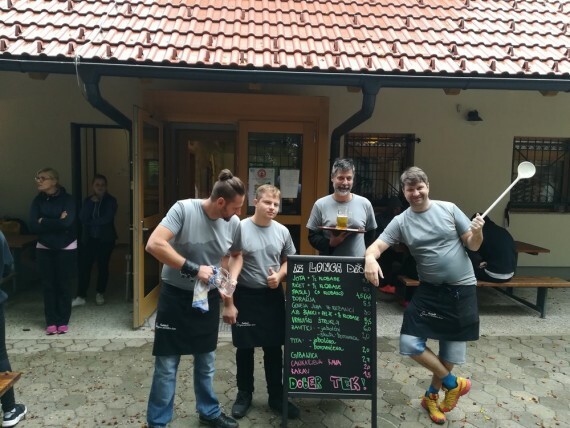 The three worked in the service, two of them took care of animation and learning sign language, and the interpreters were explaining the situation, that everything went smoothly. Visitors were interested in ordering in sign language. They also asked about the lives of the deaf. The kids were interested in why they are not able to hear, how to get deaf and if it is possible for them to hear again. The youngest trained their fingers with sign language, a bit olders also with a one-handed alphabet. They quickly caught gestures and asked their parents if they knew what they meant. At the table they later tried to use a single-handed alphabet that really attracted them. There were many deaf visitors who were excited to be able to order in sign language. They felt domestic and accepted. They were relaxed, they invited everyone in their company. 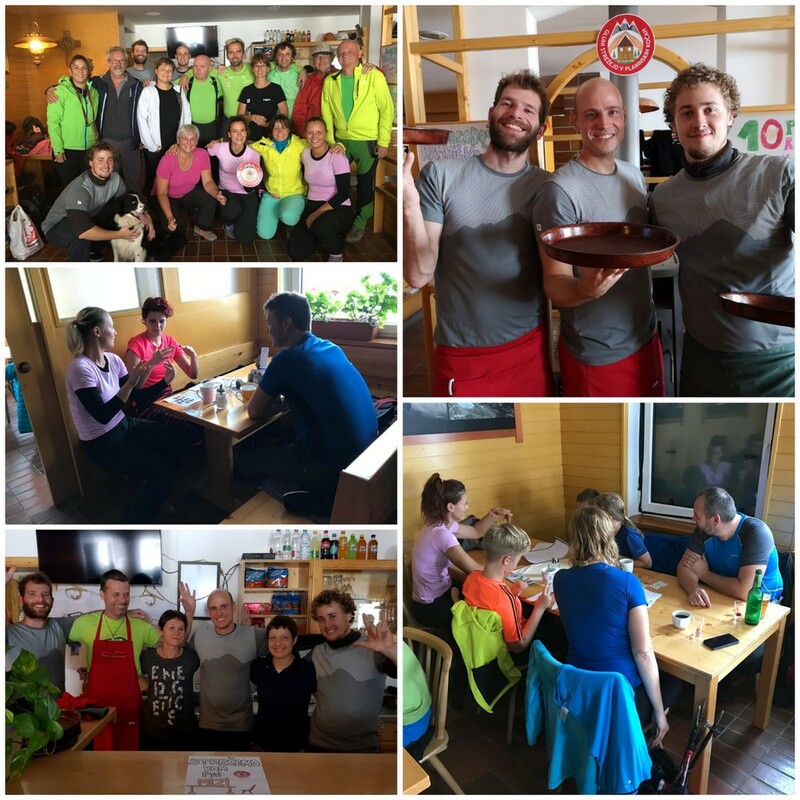 Many deaf people visited mountains and mountain huts for the first time only for the purpose of visiting the action. They were curious and interested in how to communicate in sign language. Some visitors and s lot of interest in the campaign came from abroad as well. Slovenian summary: Zelo uspesna vseslovenska prostovoljska akcija Gluhi strezejo v planinskih kocah, ki je 22. in 23. septembra potekala v desetih planinskih kocah po vsej drzavi, je povezovala, razblinjala strahove in razbijala stereotipe.